Ori Murray knew how to handle any punch that came his way, until life dealt him a blow he never expected. Ori Murray is a lethal weapon. Today he looks like your typical yeshiva student: clean cut, good looking, average height and weight. Beneath the surface however, he is anything but typical. His father, Rod, ran a karate school in Seattle for as long as he can remember and is one of the highest ranking martial artists in America. Ori followed close behind in his father's footsteps, and at the age of seven was competing in full contact karate competitions and winning on a regular basis. He continued training in martial arts into his teens and broadened his skills with several years of intense collegiate wrestling, spending hours a day working out. He wanted to be the best and he succeeded. Ori didn't go looking for trouble, yet trouble always seemed to find him. When Ori was in high school he started to get involved with the "wrong crowd." He used to hang out at house parties in Seattle's notorious South Side several nights a week. It wasn't uncommon for these parties to get a bit rough, and it was usually just a matter of time before someone decided to pick a fight with the "white boy." They had no idea what they were getting themselves into. As soon as Ori would see trouble coming he would defuse the situation as quickly as possible, usually by delivering the would-be assailant with a knock-out punch. Ori didn't go looking for trouble, yet trouble always seemed to find him. "I didn't particularly enjoy beating people up," but he never lost a fight. Growing up, Ori, born Rory, had absolutely no connection to Judaism. He was brought up by a Jewish mother and an Irish father and was the only Jew in his high school. Ori got very interested in Rap music, and started making up his own freestyle raps. He would rap as much as six hours a day. At 19 he recorded his first album under the name Mad Steez and he started getting flown out to different shows all over the West Coast. "I thought I was living the life most people only dream about." Little did he know that the dream was about to end. One night at a typical house party the owner of the house decided to pick a fight with Ori. A very bad move. The guy took a swing at Ori's head. Ori blocked and punched him in the face, knocking him onto the ground, and then locked him down in a double leg ride, a wrestling position by which both his legs were wrapped around the guy so that he couldn't move. Ori started punching the guy to destabilize him. Suddenly, as he was twisting around, he felt the greatest pain he had ever experienced in his life. Due to the positioning and the tremendous pressure he was exerting on his lower body, he had accidentally succeeded in breaking both bones in his leg including all of the ligaments. Ori needed two metal plates inserted into his leg and couldn't walk on it for a year. Ori tried to get up, but he could barely move. He crawled away from the guy and tried to get someone to take him outside. A few minutes later the owner of the house got up off the floor and beat Ori unmercifully, breaking his nose, and chipping several teeth. Ori was unable to defend himself. It was the first time he had ever lost a fight, but the pain in his leg was much greater than anything the guy inflicted upon him. He finally got someone to take him to the hospital. He needed two metal plates inserted into his leg and couldn't walk on it for a year. All Ori could think about was getting back on his feet so he could take revenge on the first person to ever beat him. Ori needed a personal trainer to help him slowly return to full use of his leg. He turned to a friend of his father's, Yaakov Lunen, a karate master in his own right. He gladly agreed to help Ori get back in shape. Several years back, Ori's father Rod received a blow to the neck at a regional karate tournament and he started coughed up blood. He refused to go to the hospital against the advice of the judges present. That night, Rod had trouble breathing and he felt certain that he was going to die. He felt himself leaving his body, entering a place he later described as "the Ellis Island of souls." As a result of his near-death experience, after recovering, Rod became committed to living a more spiritual life. Although he wasn't Jewish, his search led him to develop a close friendship with Yaakov, a religious Jew. Yaakov had his own unique story. He was the first person Ori had ever met who wore a yarmulke and tzitzis, Jewish ritual fringes. He also happened to be African American. Growing up in the south, Yaakov's father was murdered by the Klu Klux Klan when he was a young boy. His mother took him and fled to the north, eventually settling in New York. There she became a live-in maid for a Jewish family. Yaakov was raised as one of the family, and he grew up observing Jewish holidays, having Jewish friends, and attending Jewish camps. He eventually ended up converting to Judaism through a Conservative synagogue in New York. He had been living in Seattle for a few years and was now engaged in an Orthodox conversion process when Ori called him up and asked him to be his personal trainer. Ori agreed to help Yaakov teach his Kung Fu class in return for training. Yaakov lived in the Orthodox Jewish neighborhood of Seattle and he invited Ori to come to his house for Shabbat. Ori had never had any contact with Judaism at all, and the questions started to pour out of him. Eventually he started to attend a weekly class at a local yeshiva to find answers to some of his questions about life. He soon became friends with two Aish HaTorah rabbis who attended his Kung Fu class and decided to visit Israel for the first time. Ori was doing a different kind of wrestling, spiritually fighting with his inner self and grappling with life's larger questions. 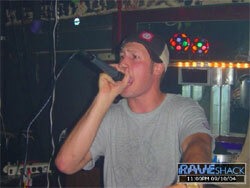 Before coming to Israel Ori had been partying day and night, playing shows and living a life without limits. Yet underneath it all he felt a trace of unhappiness and lack of fulfillment. Now, after two weeks in yeshiva, he was sitting down at a table talking about philosophy and the meaning of life, trying to apply boundaries and limits to himself. He was surprised to discover that he was feeling happier than he ever had before. Instead of running from one thing to the next, from one event to another, he was focusing inward on getting to know himself and trying to understand what life was all about. He was doing a different kind of wrestling, spiritually fighting with his inner self and grappling with life's larger questions. Eventually he decided to stay in Israel and pursue the study of Torah. Today, four years later, Ori is newly married and living with his wife in Jerusalem. 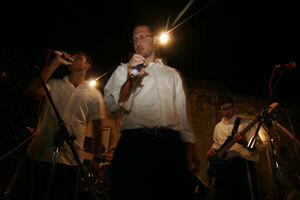 He is still learning in yeshiva and now he is producing his first Jewish rap album. His family is pleased with the direction his life has taken. "As long as I didn't end up in jail, everyone is happy," he said. His sister has become observant and his mother and brother are on the way. His father Rod wants to convert. "I always felt that I needed to do something incredibly meaningful with my life, but I was never doing it," Ori explains. "An antsy feeling used to fill me at times and it would drive me to start to do things and push them to the limits, but I still felt unfulfilled. As soon as I started delving into Judaism, the feeling left." Ori is now investing that same energy, passion and discipline he used to write music for 12 hours straight into learning Torah. "Today I get that feeling of accomplishment every single day of my life. I still get those intense highs, but now they last." Did Ori ever take revenge on the guy who beat him up? "Whether I did or didn't is irrelevant. I just want to thank that guy because if not for him I would probably still be leading a meaningless life partying and beating up people in Seattle. Thank God it happened." Click here to watch Ori perform. Click here to visit Ori's website. It is obvious that Ori learned the "martial" fighting aspect without absorbing the "art", the philosophical aspect. The philosophy of most Asian martial arts includes introspection, self restraint, and respect for oneself (no partying, drinking, and abusing your body!) and others. A true martial artists (not just someone who can win competitions) would never have found themselves in that situation. There are actually many parallels between Torah and martial arts philosophy. Interestingly, a friend recently told me that there is a medrash which states that the sons of Avraham Aveinu settled in Asia to spread knowledge of Hashem and His Torah (such as it was before matan torah). We are told that whatever Mitzvah we perform stands to benefit our decendants.Some ancestor's good deed stood as witness for Ori in Shamaim.May the almighty rescue all of our children that need to find their way to our holy Torah. I am ecstatic for Ori and his kallah. Could you imagine the result if none of this would have happened? Scary. Yaakov Lunon is equally amazing and has his own unique story. I met him in Seattle. The obstacles he and his wife have had to overcome in embracing Torah Judaism are a lesson in courage to us all. Yasher koach! Thank you for sharing this very inspiring story. May Ori and his Kallah live a happy life filled with obvious brachot! I enjoyed reading about Ori's growth and transformation as a person. As an eight year student of Okinawan Karate, and Kung Fu, I know Ori missed an important lesson from his father or mentor! When you achieve a level of competence and confidence with a martial art, you must learn restraint. Martials arts are very powerful weapons, sometimes deadly! If attacked you have 3 choices. One is to avoid or flee the attack. Two is to neutralize the attacker, and stop. The third is to destroy your opponent. The first option is rarely possible, and the third option is rarely warranted. Ori chose the third option, which was morally, ethically, and legally wrong. The emptiness that Ori felt before his introduction to Torah and Jewish thought is common among people who achieve a high level of success in life. Martial arts makes this emptiness more acute because reaching this incredible connection between body and mind takes you to higher spiritual planes. Without a clear connection to something spiritually higher there is emptiness. I am not a Yeshiva bucher, but I am a relatively knowledgeable Jew, on a lifetime journey guided by Torat Chaim. I feel so overwhelmed with amazement, joy, gratitude...that this young man was zoche to come back to Yiddishkeit, together with his family. I understand that feeling of wanting to make a life that makes a difference. It is not easy to find that purpose. I thought I found the way, but it was only the path to find the way. I am still searching..........and running out of time, I might add. Thanks for sharing. An intriguing story of a young man's journey to Judaism. It is interesting to follow the personal "story" line, as to what happened to turn his life around. I find the threads of story fascinating. I listened to the "rap". There was a piece on Aish a while back that denigrated "rap" as an art form, but when I listen to the musicality of the words, I find this qualifies for sure as art and often conveys a deep message. Life is for a reason, everything in it. I agree, this man learned the lesson he was supposed to learn. Amazing how many folks do not, but I'm so glad this one turned in the right direction. FAITH is what makes life fullfilled. It is truly an inspiring written piece or peace.